WORK started this week to fix the East Shores waterfall after it ran dry more than nine months ago. The iconic man-made waterfall has been offline since late last year when water leaked from a broken pipe across the road and walkway at East Shores. 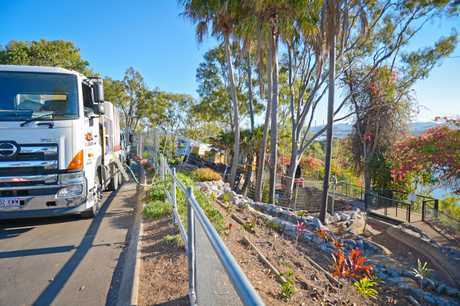 Gladstone Ports Corporation is responsible for the waterfall's upkeep. 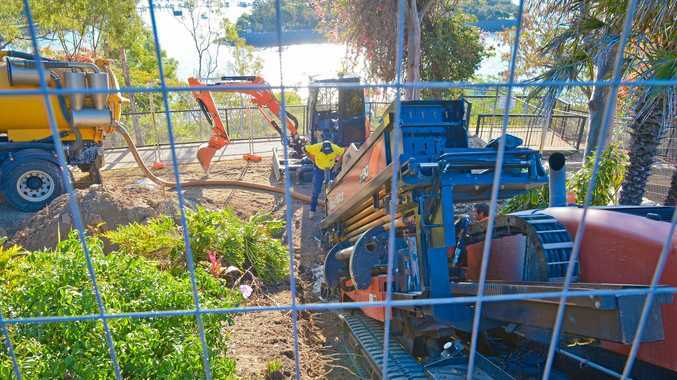 Chief executive officer Peter O'Sullivan said contractors had been working to replace the waterfall's feed line. "It was determined that the best method to do so was to drill through the rock," he said. "So far a pilot hole has been successfully created. "The next step will be to drill a larger hole that will allow us to install a new pipeline and return the waterfall to operation. "The work is a delicate process considering the nature of the environment and its exposure to the community." Mr O'Sullivan said he expected the work to be finished in the coming weeks. 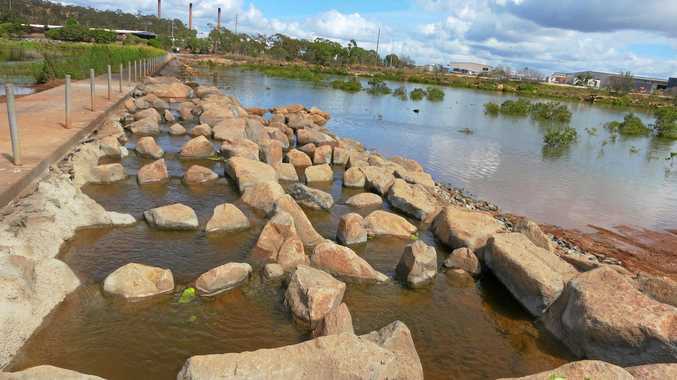 The waterfall has been a centre point of Gladstone's foreshore since it opened as the Rotary Waterfall in March, 1985.